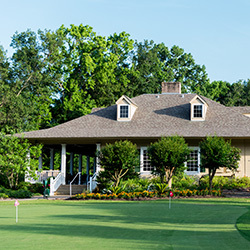 Whether you’re fueling up for the day with a delicious breakfast, grabbing a snack during a round of golf or winding down after a long conference session, our variety of convenient and welcoming dining options offer something to satisfy every appetite. Located just off the Main Lobby and Great Room, Cypress Bend Dining Room offers breakfast, lunch and dinner, along with exceptional views of the golf course. Gaze upon the 18th green, which spills into the Toledo Bend Lake, as you feast on delicious Southern cuisine. 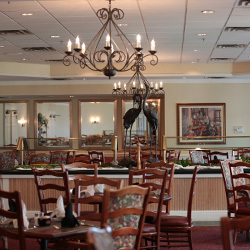 Choose from a variety of breakfast favorites, dig into mouth-watering burgers and local fare for lunch and savor fresh-cut steaks, seafood and traditional Louisiana cuisine for dinner. Then don’t forget to top off your meal with one of our delectable homemade desserts! With friendly service and laid-back atmosphere, this cozy lounge is the perfect place to unwind after 18 holes, settle down after a productive meeting or just relax in the company of good friends and great refreshments. 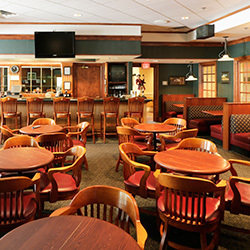 Let our staff prepare your favorite cocktail or choose from a large selection of spirits, wines and domestic and import beers. Want to linger even longer? Our menu of delicious snacks and lighter fare will keep you satisfied. Don’t let hunger slow you down on the greens. Just swing by this convenient café, where golfers on the move can grab a quick breakfast, light afternoon snack or casual drinks and fare all day long.